Our Need of More Faith: A Sermon Preached in St. John's Church, Providence; August 11, 1843, at the Consecration of J.P.K. Henshaw, D.D., as Bishop of Rhode-Island. Providence: Burnett and Blodget, 1843. New York: General Protestant Episcopal S. School Union, and Church Book Society, 1859. The Late Bishop Henshaw. Personal Reminiscences of Right Rev. 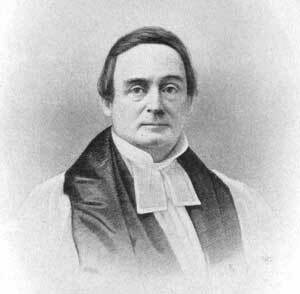 John Prentiss Kewley Henshaw, D.D., the First Bishop of Rhode Island. A Plea for Seamen: A Sermon Preached on the Occasion of a Collection in Aid of the Funds of the Seamen's Union Bethel Society, in St. Peter's Church, Baltimore on the Evening of the 19th February, 1826. An Oration Delivered before the Associated Alumni of Middlebury College, at the Public Commencement, on the 15th August, 1827. Middlebury: J. W. Copeland, 1827. Theology for the People: In a Series of Discourses on the Catechism of the Protestant Episcopal Church. Funeral Sermon, Occasioned by the Death of William Henry Harrison, Late President of the United States, Delivered in Saint Peter's Prot. Epis. Church, Baltimore, on Sunday, Twenty-fifth of April, 1841. Dying in Peace: A Funeral Sermon, Occasioned by the Death of the Right Reverend Richard C. Moore, D.D., Bishop of the Protestant Episcopal Church in the Diocese of Virginia. An Inquiry into the Meaning of the Prophecies relating to the Second Advent of Our Lord Jesus Christ in a course of Lectures, delivered in St. Peter's Church, Baltimore. Memoir of the Life of the Rt. Rev. Richard Channing Moore, D.D. Bishop of the Protestant Episcopal Church in the Diocese of Virginia. The Work of Christ's Living Body: A Sermon Preached before the Convention of the Protestant Episcopal Church in the Diocese of Maryland. Baltimore: Knight and Colburn, 1843. A Vindication of the Protestant Episcopal Church in an Address on the Occasion of Laying the Corner-stone of Grace Church, Providence, on Tuesday, April 8th, 1845. Providence: Diocese of Rhode Island, 1845. The Church, the Pillar and Ground of the Truth. A Sermon Preached at the Consecration of Rev. George Burgess as Bishop of the Protestant Episcopal Church in Maine Oct. 31, 1847, in Christ's Church, Hartford, Conn.
A Statement of Facts relating to the Late Ordination at Grace Church with the Correspondence on the Subject between the Rt. Rev. J.P.K. Henshaw and the Rev. James W. Cooke. Temper and Duties of a Christian Minister: Charge to Graduating Class, General Theological Seminary, St. John's Chapel, City of New-York, June 28, 1847. New York: Daniel Dana, Jr., 1847. The Right of the Clergy to Temporal Support: A Discourse delivered before the Society for the Relief of the Widows and Orphans of Deceased Clergymen. Boston: James B. Dow, 1850. A Discourse delivered in Grace Church, Providence, on the Occasion of the Third Jubilee, or, One Hundred and Fiftieth Anniversary of the Society for the Propagation of the Gospel in Foreign Parts on the First Sunday after Trinity, June 22d, 1851. Duties of Churchmen in These Times: A Charge Delivered before the Convention of the Protestant Episcopal Church in the Diocese of Rhode-Island, June 8, 1852. Providence: Knowles, Anthony and Co., 1852.